This world-famous ‘spa’ hotel is known for its thermal swimming pools. The indoor pool has a glass roof which can be moved back to create an open-air aspect., The outdoor pool has a wave machine. 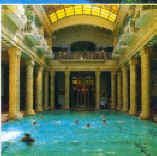 All rooms are with en-suite facilities and have a variety of views - Danube - Gellert Hill and also that of the out-door pool. Some rooms have television and air-conditioning. 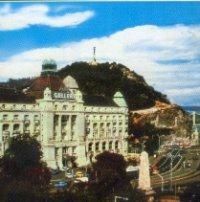 The Gellert’s restaurant, the Dunaterem is duly famous for its traditional dishes.